This timely book educates readers about the microbes that inhabit our guts, which play such an important role in our health. 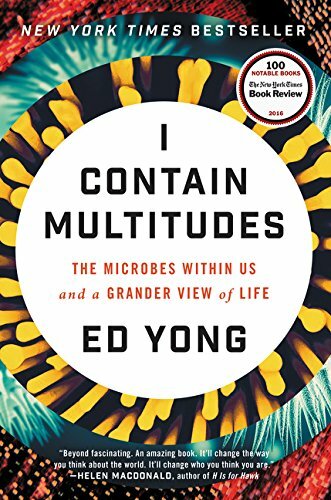 Science writer Ed Yong provides a thorough explanation of various aspects of the science of the relationships between humans and the microbes that occupy them. He explains the concept of a microbiome and the various theories about how it works. He provides an overview of both the history of the science and the current debate. He tells lots of scientific anecdotes and recounts some of his meetings with current scientists. Nevertheless, it takes a fair amount of effort to pay attention all the way through, and it is very tempting to skip. Yong is good at the science but he does not address the philosophical issues about what we really mean by human identity given that so much of the normal body includes and depends on foreign microbes. There is some information about the relationship between microbes and mental illness, but nothing very definite. Charlie Anson reads the unabridged audiobook, and he carries plenty of authority and conviction in the performance. The hardcopy has 70 pages of notes and bibliography that are not contained in the audiobook, so those interested in pursuing the issues may prefer to get the hardcopy to the audiobook. Christian Perring reviews many books in popular science and medicine.